We must remember that we are not our emotions, we are the experiencer of them. 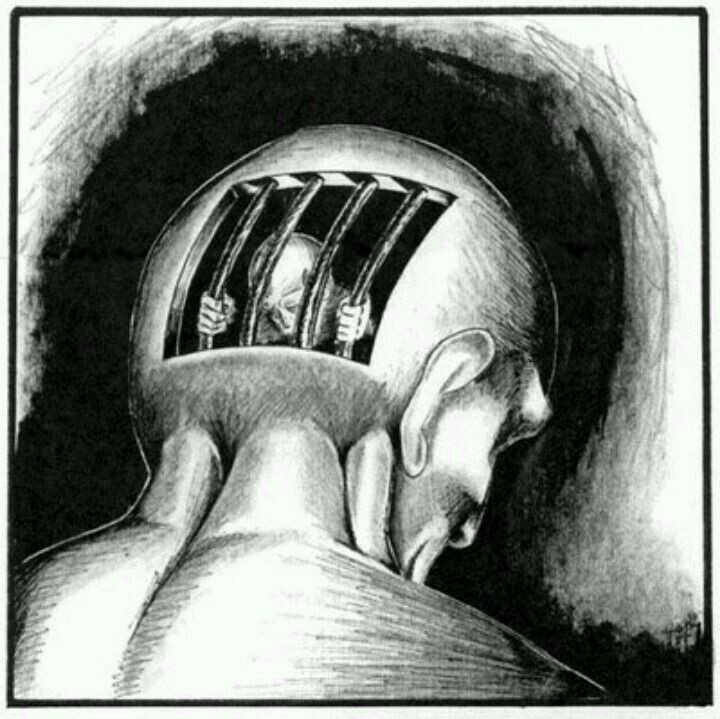 They are here to teach us, not hold us prisoner. Processing is meant to empower our growth, not stunt it. We hear or say it every day in conscious community: “I am processing”. So, what exactly does “processing” mean? Processing is the act of digesting our emotions, joyful and painful. We mainly refer to it when we are integrating more uncomfortable feelings. When we healthily process, we allow emotional responses to move through us. And by observing our responses to the event or person, by feeling deeply into our personal reactions and sensations, and by harnessing this information to deepen our understanding of self, processing can be a profound tool for self growth. So why does processing so-often become unhealthy? The answer is quite simple: Processing becomes unhealthy when we never actually move beyond it. It becomes destructive when we choose to live in a constant state of intense emotional digesting. This can be, quite frankly, synonymous with suffering. And the danger here is, people become addictively comfortable with suffering, and the situations and/or people who ignite it in the first place. When we’re in this cycle of pain, we can’t move forward. And what’s the point of life if we aren’t moving forward, and closer toward who we truly are? See, it is vital for our personal wellbeing and the wellbeing of humanity that we don’t get stuck in a constant state of processing. There are therapies, healing methodologies, and communities centered around this idea of prioritizing processing, and all with pure intention. I notice, however, that many people involved often stagnate. Literally. They get stuck in time. They don’t move forward, emotionally and tangibly in their lives. It is easy to forget that as much as deep inner work is necessary, it is just as necessary to apply that work in action, then let go and live! The alternative — to prize the act of processing, without encouraging and supporting an end goal — is rather dangerous. “You can’t hurt me without my permission”. Of course, this is much easier said than done in many circumstances, but at the core, there is nothing more true. So we must try our best to stop giving up our power to what may have hurt us, and start using processing as a tool for positive action, learning, growth and empowerment. This isn’t at all to say that feeling deeply emotional isn’t okay. It’s quite the opposite. Of course it’s okay, necessary even, to allow emotions to wash over us, to feel them deeply, to sit in our tears. But we must remember that we are not these emotions, we are the experiencer of them. They are here to teach us, not hold us prisoner. Processing is meant to empower our growth, not stunt it. So how do we process healthily? Seriously. Dance. Dancing allows us to simultaneously integrate, move through and release our emotions. As we intentionally move and free our bodies, we transmute stagnant energy within us and we transform it into art and authentic expression. Of course, there are many other ways to healthily process, move through, and release negative emotions — meditation, nature-walks, hikes, writing, painting, and exercise being some. The vital component with any one of these outlets is to harness them as mediums, not only to feel, but to also release emotional energy. So when you write, write all about how you’re feeling, why it hurts, where it hurts, and how deeply you might be feeling pain. And then remember that you are not the pain. Remember that you are not a victim of what or who hurt you. When you meditate, meditate on the sensations within your body, heart and spirit. And then remember that you are the observer of them. You can and will integrate them, you can and will learn from them, you can and will transform them. When you dance, listen intently to your body. Dance into your feeling space and express each nuance that wants to break free. And most importantly, break free. You must break free. Allow the movements to carry you into freedom, into transformation, into liberation. You see, processing should never be a state of permanence. It is a powerful transitory liminal space. And on the other end of it lies vast transformation, even more fullness, expansion and bliss. But we must, we absolutely must, dance to the other side.